The I-CAT flex cone beam scanner is used to produce 3D diagnostic records which are invaluable to developing a complete, accurate diagnosis and the most effective treatment result for our patients. Our cutting edge, state-of-the-art Digital 3D x-ray technology allows us to evaluate the face, craniofacial bones, temporomandibular joints, teeth, roots, sinuses, and airways all in a single very low dose (safe) radiation level in 4.8 second. It also eliminates the need for diagnostic dental impressions. 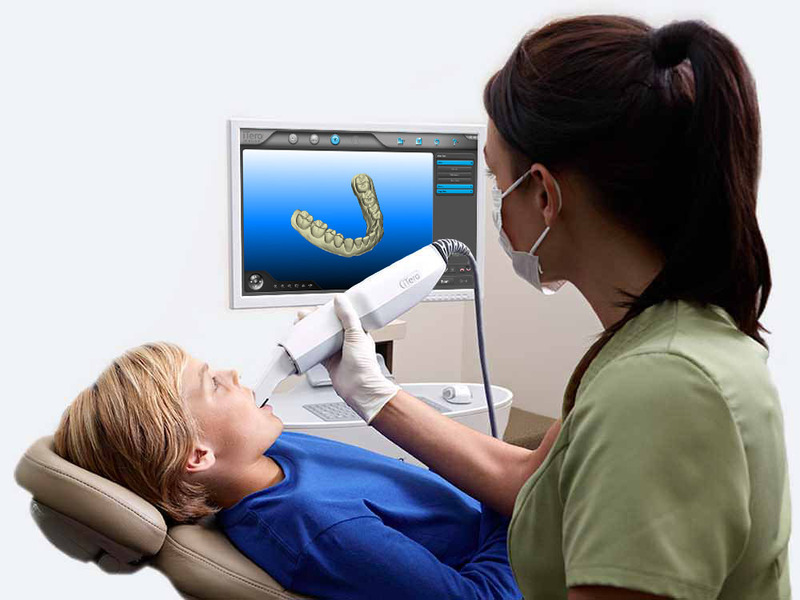 Our iTero element scanner allows us to take highly accurate digital scans of your teeth in minutes. No need to take impressions. iTero Scanners have several benefits over traditional impressions. First, a patient’s movement does not distort the scan while eliminating the invasiveness and discomfort caused by impressions. 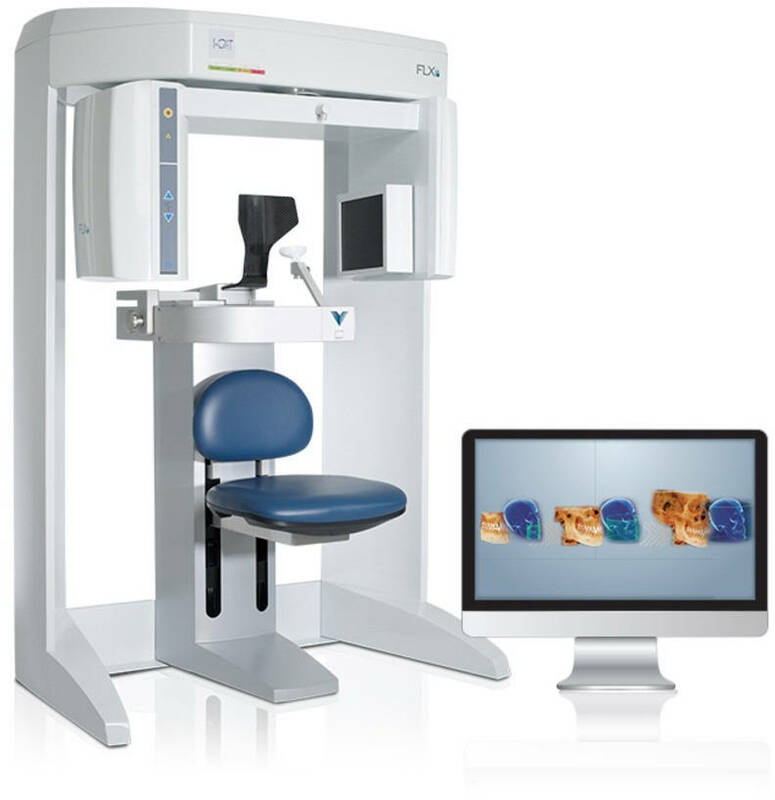 Second, the real-time digital display of scans allows for immediate adjustment, assuring accurate scans the first time. Finally, the image quality of impressionless scans is superior to conventional impressions. Because of the immediate transfer or information, we can get Invisalign and other appliances back more quickly than with traditional impressions. Orthodontic study models in our office are made without impressions because they are made directly from the CBCT 3D x-ray.